If there's one thing you should try and do in Northumberland this Summer it's walking from Craster to Dunstanburgh Castle. 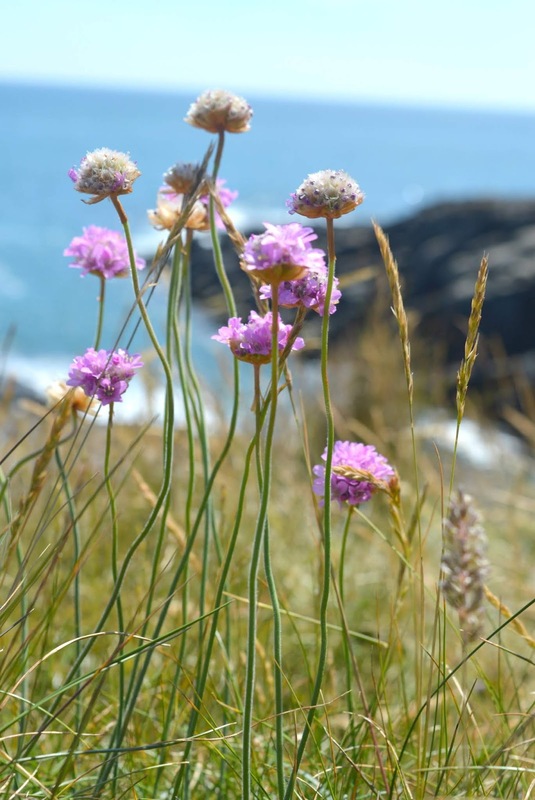 We recently did the 2 mile walk and it offers the most beautiful coastal scenery with the flat paths making it a very easy potter to enjoy on a hot Summer's day. 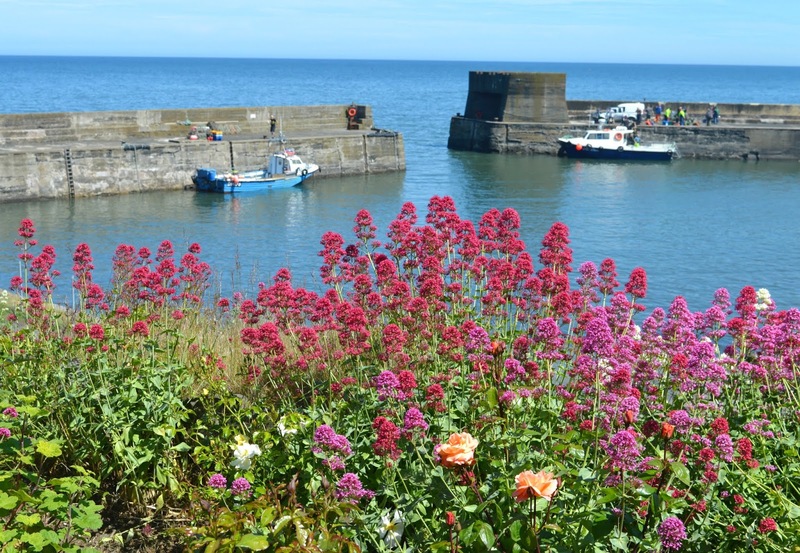 We began our adventure in Craster, parking at the Tourist Information office it's a very short stroll down into the village where we were greeted by one of my favourite views in Northumberland, the stunning Craster harbour with its brightly coloured flowers, stone buildings and little fishing boats - it's the kind of place that you see on the front of a postcard and makes you so thankful that you live in such a beautiful part of the country. The walk to Dunstanburgh Castle begins through a gated path just to the left of the harbour, clearly signposted it's not hard to miss. As soon as we began the walk we could spot the Castle in the distance in front of us making it absolutely impossible to get lost. I told you it was an easy one, no need for maps and compasses on this walk! 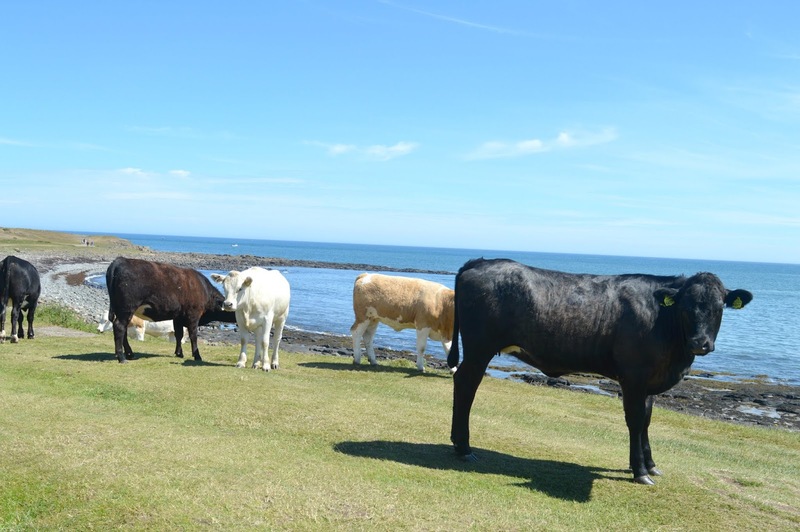 We love to enjoy the walk from Craster to Dunstanburgh Castle at a really slow pace so we can appreciate the scenery. It's hard to resist the temptation to take a few photos with every step and if you're very lucky you'll get to see the grazing sheep and cattle head down to the sea to dip their feet in the water. There's something quite strange about seeing sheep clambering their way over the rocks for a paddle. in no time at all we were at the entrance to Dunstanburgh Castle and ready to explore. The Castle is one of the most beautiful ruins and the perfect reward for completing your walk. Run by English Heritage we were pleased to discover that as National Trust members we could use our membership cards for free entry. 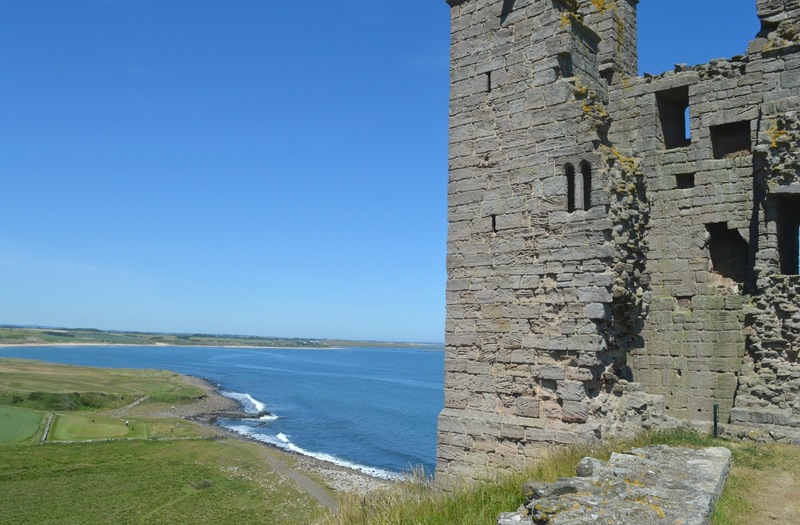 If you're not a member of either then entry to Dunstanburgh Castle costs £5.40 for adults and £3.20 for children and is well worth the entrance fee, especially on a beautiful Summer's day. 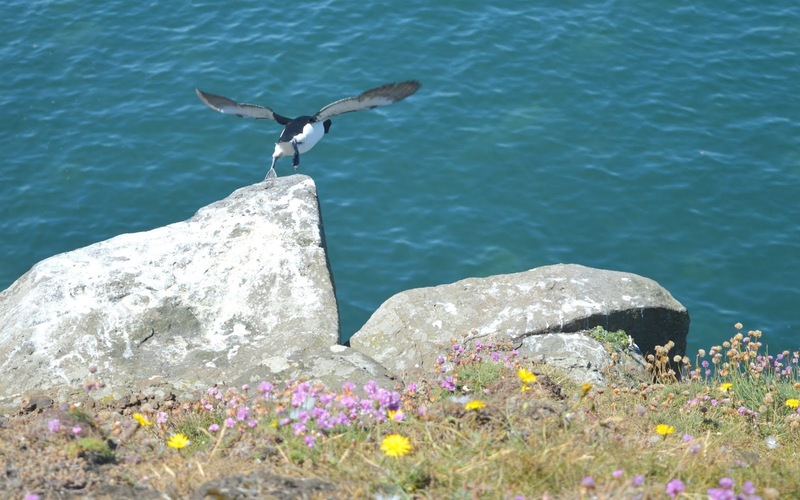 Although the site is pretty small there is a lot to see and it is definitely best enjoyed at a leisurely pace to appreciate the stunning coastal scenery and wildlife. For keen bird spotters Dunstanburgh Castle is a haven for coastal birds and there is a lovely spot where we stumbled across some twitchers sitting in the sunshine with huge cameras pointed at an opposite cliff that was packed full of birds. It was another case of severe lens envy for us and I found myself desperately stretching to try and get some good shots using my kit lens, pretty impossible and yet another reminder that we need to upgrade our camera equipment. 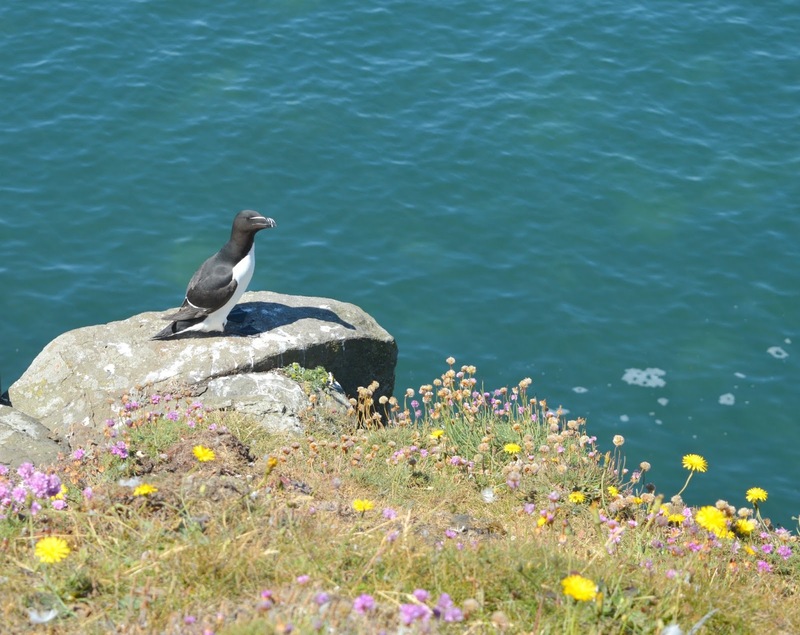 There are several birds to see at Dunstanburgh Castle and we recognised a fair few from our recent trip to the Farne Islands including Razorbills - they're easy to spot and the path around the site offers a fantastic view of them diving off the cliffs and swooping over the water. We spent a good 30 minutes just stood silently watching, it is one of the most relaxing ways to spend a sunny Saturday. 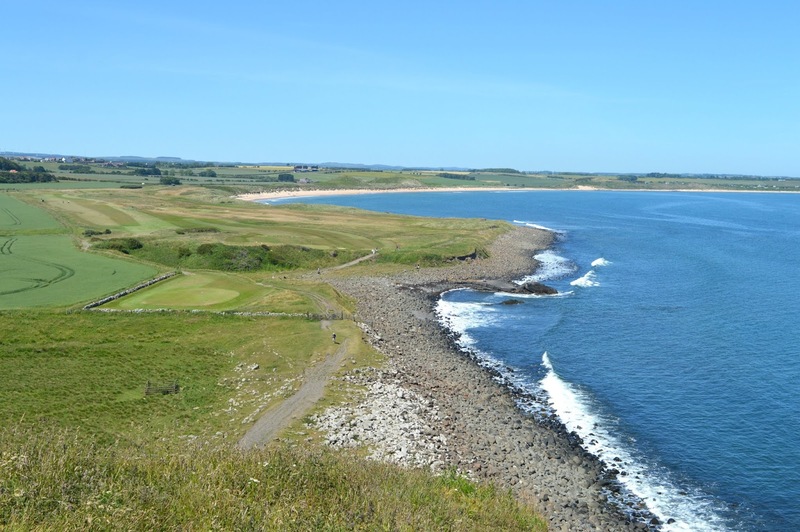 The far end of the site at Dunstanburgh Castle offers the most spectacular views across the Northumberland coastline. The day we visited it was so clear that we could just make out Bamburgh Castle 12 miles down the coast and after proudly pointing it out to everyone that passed us we enjoyed playing a Northumberland coast edition of "I Spy" for a good while, spotting Low Newton and the beautiful sands of Embleton. With lunchtime fast approaching we found a bench out in the sunshine to enjoy our sandwiches and watch the swallows darting around above our heads. If you're looking for the ultimate picnic spot in Northumberland, Dunstanburgh Castle has to be it, despite being such a hot and sunny day there were plenty of spare picnic spots out in the sunshine and for those of us enjoying the lovely weather in the castle grounds it felt like the best kept secret on the Northumberland coast. 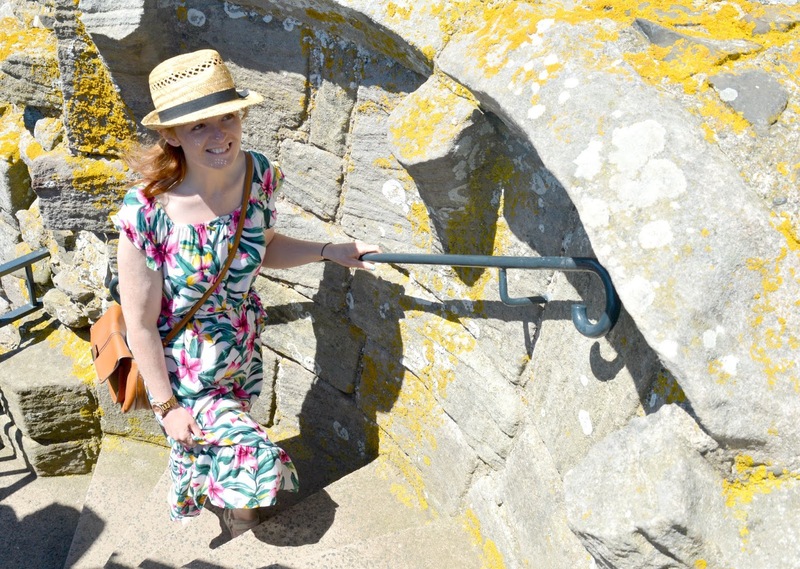 We ended our visit with a climb up the tower which gave us fantastic views back to Craster where we decided, on looking at how far we had to walk back, that we deserved a treat when we got there. Nothing powers you along more than the promise of cake. So we made our way back to Craster, thinking about tea and cake with each step. Altough very small, Craster has some great food options. If you're hungry then The Jolly Fisherman is one of the best places in Northumberland for seafood or , if you fancy something a ltitle lighter, Shoreline Cafe is ideal for lunch and light bites. 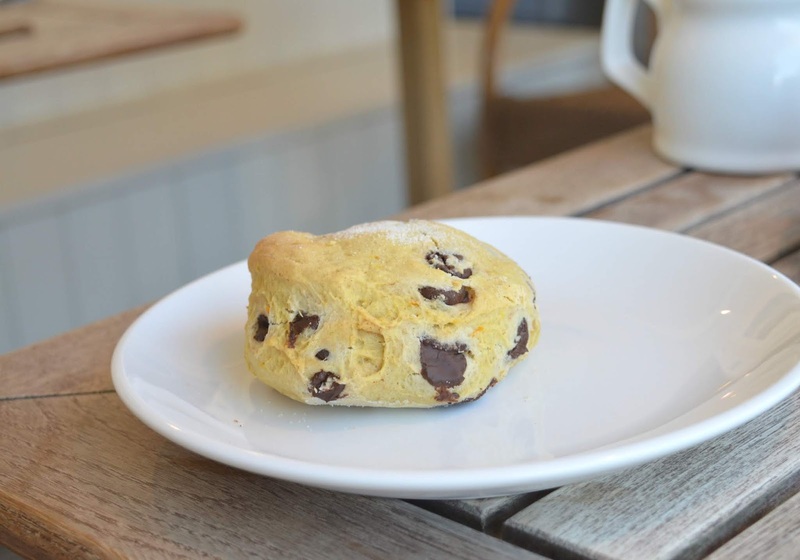 In need of some weekend sugar we couldn't resist ordering a chocolate orange scone to share which we promptly cut in half to save arguments. 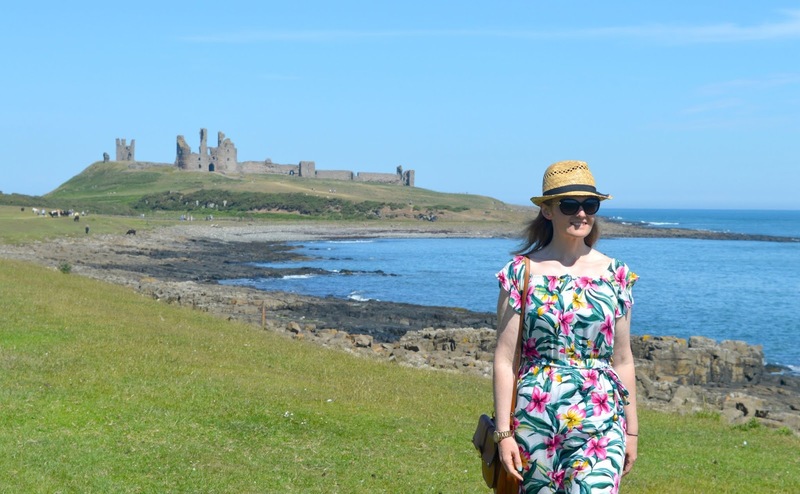 We loved our day in sunny Northumberland exploring Craster and Dunstunburgh Castle and can't wait to see where else we can discover along the coast this Summer. Make sure you let me know your favourite spots to visit! You really can't! I'd love to extend the walk a bit further next time - it's always so tempting to just carry on walking on and on and on! It is so absolutely lovely - the sea is such an amazing colour! Isn't it? I've never seen the sea as blue as it's been this Summer - stunning!